Macau is a tiny ex-Portuguese enclave, 35 miles west of Hong Kong across the Pear River delta. I had been invited to visit Macau by the Government Tourist Office. They wanted me to experience how centuries of Portuguese influence has embedded an acceptance and appreciation of food and wine into Macau’s very soul: something totally unique in Far Eastern culture. Therefore I present my wine and food lover’s guide to Macau. Here, Chinese culinary tradition has been influenced by the Mediterranean. This has shaped a unique dining scene, where washing down dinner with a bottle of inexpensive red wine is the norm – even though that dinner might be classic Cantonese cuisine. The tourist with a passion for fine food and wine needn’t break the bank either: prices seem ludicrously low compared with the trendy restaurant and wine bar chic of neighbouring Hong Kong.Only 8.6 square miles in total, Macau comprises a peninsula of China’s Guangdong province, and the islands of Taipa and Coloane. Settled by the Portuguese in 1557 as a vital base in the trade route between Europe and the Orient, by the end of the 16th century 1,000 Portuguese had settled in Macau. Macau became a rich and important city for trade. It was also a centre for Jesuit missionaries who travelled to China and Japan. They built palatial churches, leafy squares and ornate European-style buildings. Fortunes fluctuated over the next couple of centuries, with the founding of Honk Kong as a British colony in 1841, followed by Portugal gaining sovereignty over Macau in 1887. The Sino-Japanese and World Wars of the 20th century saw another influx of Chinese and European settlers, adding further spice to Macau’s rich blend of races and creeds. 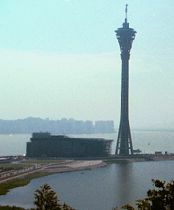 Finally, in December 1999, Macau was returned to China. Like Hong Kong, Macau has become a Special Administrative Region; border gates still exist, and a degree of political and commercial autonomy is guaranteed for 50 years. But the Portuguese legacy in Macau is abundantly clear. It bestows on the territory a wonderful and totally unique blend of cultural influences: grand baroque Catholic churches dwarf Taoist and Buddhist temples built in their shadow; Portuguese cafés selling superb espresso and pastries rub shoulders with Dim Sum houses; the frenetic pace of Hong Kong is somehow forgotten in this Mediterranean culture of Mañana.And Portuguese wine is everywhere. Whilst elsewhere in the Orient wine is a scarce, often misunderstood and super-expensive luxury commodity, here quality Portuguese table wines are intrinsic to the culture. You will find them on sale in every grocers shop and convenience store, and restaurants of every style – Chinese, Thai, Vietnamese – expect their patrons to order wine. 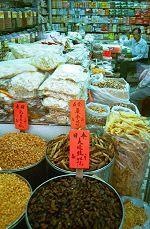 In fact, a wonderful cross section of Oriental and European cuisines is available in Macau. But the most intriguing of all is the unique Macanese cuisine. Macanese blends traditional Cantonese and Portuguese cooking with the bold, hot spices and flavourings of Africa, Brazil and India. A legacy of Portuguese trade in these areas, Macanese cuisine has developed a range of delicious and hearty dishes dishes like African chicken or piquant Goan prawns, baked or grilled with peppers and chilli. Traditional Portuguese restaurants flourish too, with bacalhau or caldo verde as easy to find as Cantonese pigeon, quail or duck. Part II of this guide will focus on Macau’s food and wine scene in detail. At time of writing Macau is country in flux. The bay of Praia Grande has been blocked off and the land is being reclaimed to form a broad causeway across its mouth, where a huge exhibition centre and one of Asia’s tallest towers now stands. The brand new Macau airport is built on yet more reclaimed land, off the Island of Taipa, though for now it offers very few direct connections from Europe. There are plans to extend the highway that connects Hong Kong with the Chinese Mainland, to loop round and reach out to Macau and a vast tract of the outer harbour is being redeveloped. The sights and sounds of construction work cannot be avoided.But for all of that, there is a magic about Macau. In the interior of the city and out to the islands, there is a sense of timelessness that belies the pace of change. Macau offers a delightful microcosm of the Orient. 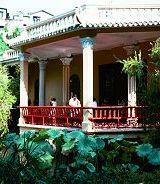 Head to the breathtaking Chinese gardens of Lou Lim Ioec. This is a miniaturised landscape of narrow, winding paths that loop through bamboo groves, take in numerous shady meeting places, and lead on to a huge pavilion. You will cross carp-filled ponds carpeted with lotus flowers, and there is activity all around. If you are lucky, you will find groups of classical musicians who meet for impromptu concerts. 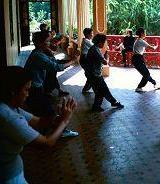 Groups of all ages exercise with tai chi. The exquisite movements are performed to music, and there is much laughter between sessions. Chess and mah-jong games are played out with great intensity, and old men congregate to chat, their caged songbirds brought from their apartments to hang in the banyan trees. 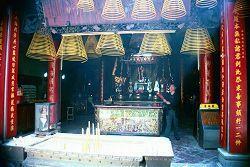 Macau’s many ancient temples are every bit as impressive as those you’ll find on Hong Kong. The oldest of these if the Temple of A-Ma, a goddess who protected seafarers, and after whom the enclave is named (A-Ma-Gau = the place of A-Ma). A series of beautiful and atmospheric prayer halls, pavilions and courtyards cover a hillside, connected by paths which pass through bonsai gardens and burning incense. The temples themselves are adorned with beautiful tiled roofs and offer spectacular views. If you have never visited a temple before be prepared: these are deeply religious places, but they are neither solemn, nor silent, but are filled with life. Though the monks themselves prefer to stay out of sight, fortune tellers busily sell paper money offerings, predications, incense and fire crackers which are lit to ward off evil spirits. 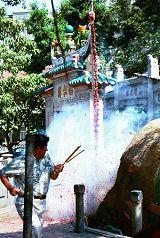 We were lucky enough to be there when a party of visiting Chinese lit the big bertha of all firecrackers: a six meter long roll that was hoisted far above the temple and when lit shook the air with a deafening cacophony of bangs. The heady smell of burning incense and offerings, the tanks of live turtles, and the sounds of prayer make for sensory overload and a thrilling atmosphere.The centre of Macau is dominated by the mountain fortress which rises above the bustling streets and now houses the impressive Museum of Macau. This new Museum is well worth a trip, with several floors telling the story of Macau through reproductions of houses, street scenes and industry. You can also walk out to the battlements for spectacular views over the city. 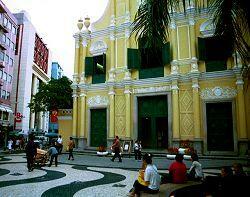 Just in front is the façade of the church of São Paulo, which has become a symbol for Macau itself. Dating from 1602, the ornate façade is a backdrop for frequent concerts and performances, and just behind it is a small and peaceful museum containing the relics of Vietnamese and Japanese martyrs to catholicism. The colourfully cobbled streets of the city centre offer lots of shady cafés and squares, and some terrific colonial architecture. Here there are also graceful, sweeping terraces and imposing public buildings, crisply decorated in pink and white, and fringed by palm trees giving a real feeling of the Mediterranean. The main square of Largo do Senado houses the government tourist office, where helpful advice and the money-saving “Macau passport” is yours for the asking. Nearby is the lovely Catholic church of São Domingo, picked out in pale lemon paintwork (photo near the top of this page). Here, small-scale classical concerts are regularly offered free of charge, and the calm interior offers respite from mid-day heat.There is some great browsing to be done in the shops and markets of the city centre, from the meat and fish market (go early, and note that most produce is still alive – you’ll need a strong stomach) to the herbalists, grocers, wine shops and fashionable boutiques. Incidentally, if you do go shopping there’s a great little coffee and pastry shop, Bolo de Arroz, which serves spirit-lifting espresso. It’s just opposite the church. in the tiny side street of Travessa de São Domingo. Macau also offers a whole museum dedicated to Portuguese wine. It is housed in the Wine and Grand Prix Museums complex. To be honest, I was rather disappointed in the wine musuem: though beautifully done, it has a rather dull collection of static exhibits, enlivened only by a small tasting bar at the end of the tour. A joint ticket for it and the adjoining Grand Prix museum can be purchased and is the best bet: the latter is a far livlier place, with lots of cars and video footage (former winners include Michael Schumaker and Damon Hill). There’s even a simulator that lets you experience a high-speed drive around Macau’s famous Grand Prix track for yourself.